We meet on a Thursday evening from 6.30pm-8.30pm at Nettleham Junior School. 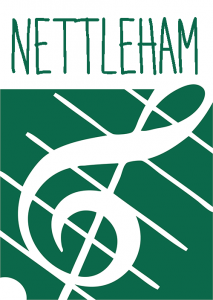 Nettleham Community Choir is an open access choir for anyone that wants to sing! Everyone is welcome from new singers to experienced singers. Covering a wide range of songs and there should be something to suit everyone’s’ taste. We sing pop, choral, classical, jazz, folk and everything in between. For those members of the Choir who want to, we perform at a variety of functions across the year including regular performances at the Lincolnshire Show, Lincoln Busking Festival and the Festive Food and Drink Fair as well as supporting local events and organisation. We have also performed at a number of weddings. We would love to come and sing at your local event so please contact us if you are interested.